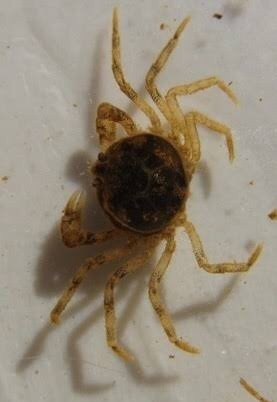 I was looking at Thai micro crabs and they seem so adorable. But sadly AFAIK not available in Australia. Anyone happen to have had any luck finding them or buying these? Or the Thai micro crabs? So cute, @wayne6442 used to have some from possibly @northboy but both have been away from SKF for a little while. Ooooh so there's hope! I sooooo want to put about half a dozen of them in my glass shrimp tank. I'm gonna attempt a weekend trip to Straddie to look for some if no-one has any already. Provided there are some good non-protected areas to go searching that is. I've seen them in an irrigation ditch in western Victoria many years ago. I'd love to find them again. Keep us posted on how you go finding them! They look really cool! Since I manage to find quite a few interesting critters when I go hunting for wild local aquatics I might actually manage to find some of these guys, assuming they are in my area. I know there are plenty of the much larger fresh water crabs about. I wonder if night hunting for them might make them easier to find? I find many shrimp, crabs and fish are less timid at night and with a bright torch the shrimp eyes often give themselves away by reflecting light and the light stuns them long enough for you to scoop with a net. Cool let me know what you find! I'm kinda keen for any unusual looking peaceful native inverts for my native tank. A fellow on facebook (if you're also on SKF and seeing this, that'd be cool!) 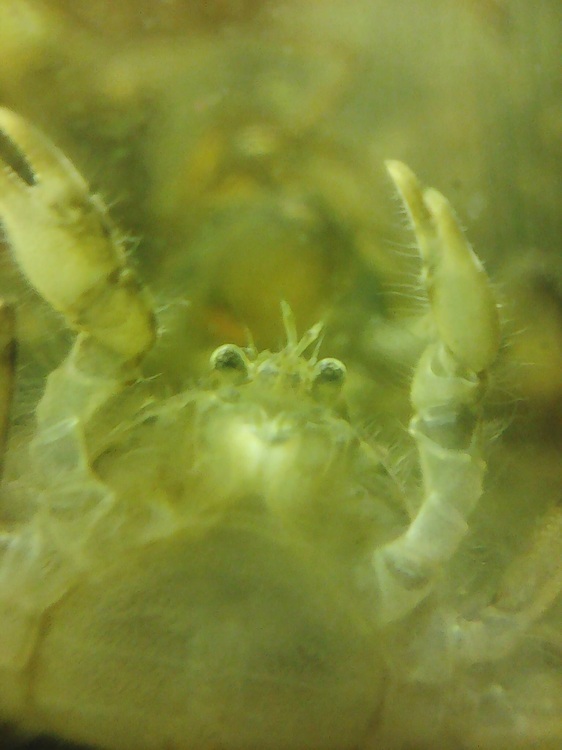 is breeding and selling an almost identical species of crab, Amarinus Laevis. THey grow to approx 22mm, so they're just a tad bigger than amarinus lacustris. He's breeding them in fresh water successfully and selling them really cheap. If anyone was keen to get some I can put you in touch ? I have set of 8 females and 2 males arriving this week so pics coming soon. 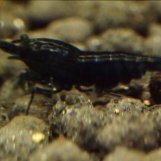 Apparently they're completely shrimp safe and survive/breed in water conditions suited to both neos/tigers and crystals/TBs. They do, however, snack on tiny snails but ignore adult ones. The guy keeping them says this allows him to have adult ramshorns in the tank to do clean-up duty without them breeding like mad and taking over the place. So, let's see how this goes!! Museum Victoria has some great photos! Any info on what water parameters they require? This is what the breeder says re water! ...They are very hardy and love coldwater or tropical tanks. They are an estuarine species but these ones have been bred in and live in freshwater. ...They are fully aquatic and don't need an area to leave the water. They are very hardy and will breed readily in a wide range of parameters." Cool, looking forward to comparing notes! Looks like there may be a source of collection soon for them @waffle. I will advise what I find out. And they have cleaned out a moderately infested tank of mini ramshorns and pond snails, haven't seen a snail in that tank for weeks. Found they really appreciate some driftwood with deep cracks they can really wedge into during the day. They also get a little rowdy when they don't all have something to eat but it's minor squabbles no injury has resulted. They are in with red nose and chameleons, and a few plants. They don't seem to do anything to the plants that I can tell, the red nose have been munching on them already. And there are baby chameleons running around without any apparent drop in numbers. Great looking little guys. @Gbang, could you start breeding these guys stat into bright colouring? ? now there is a challenge! I am just concerned about shrimplets: if these crabs eat baby snails, surely they would go for newly hatched shrimplets? At 2cm total size ( on Gumtree) the pincers are large enough for this. Who can chip in with some experience with crabs? 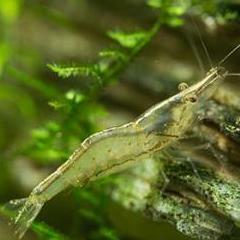 Are the native chameleon shrimp just as fragile as for example TB shrimplets? 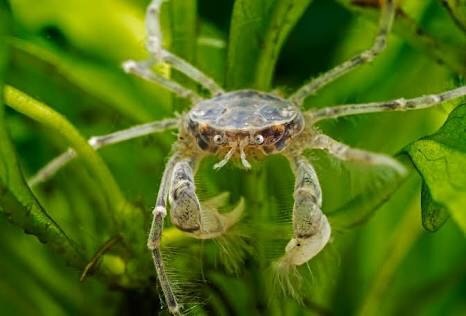 I believe Exotic Aquatic in Carnegie, VIC had some small crabs for sale a month ago, they've got a video up on their Facebook page. Not sure if they are the same as above though? Yeah I was wondering the same - for example if there was as moulting shrimplet that is temporarily immobile or a weaker shrimplet. There's only one way to find out.... I'm going to be keeping a careful eye on them and report back about this. I asked the breeder and he says they're not fast/agile enough to capture a shrimplet even if they wanted to eat one. Yay! I'm the guy who sells the Amarinus Laevis. I supply Exotic Aquatic in Carnegie and a few other places around melbourne. I'm a shrimpkeeper myself and these guys absolutely do not eat shrimplets. if they wanted to and they wanted to, and if they where somehow fast enough, they have no way to grab it. Interests: Keeper of the more uncommon species or rainbowfish, however, also interested in aquatic plants. I've bought crabs from this guy before (if that is you, Harrison!) and he is reputable beyond belief. Highly recommended. He's generous, genuine and super friendly. Someone I wish all people I bought from were like. I cannot recommend this man enough! 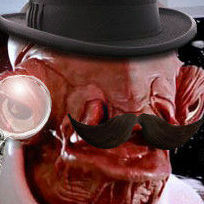 @IHaveCrabs, you should become a subscription member and sell them here too. I think it's going to be popular if shrimp safe. ?? Nawwww such beautiful bromance!! Yes it is Harrison! Defs second that recommendation.